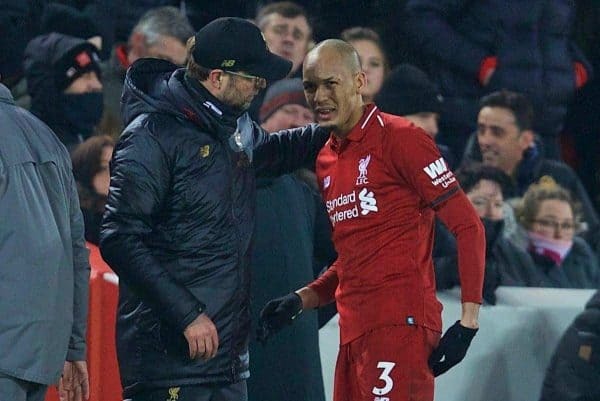 Liverpool midfielder Fabinho is happy with how his debut season is progressing—even though he would have liked to have played a greater role already. The Brazil midfielder arrived in the summer from Monaco in a £43.7 million deal but was held back by manager Jurgen Klopp, making his first start in the Carabao Cup defeat to Chelsea in late September. That was only a week after an 89th-minute debut in the Champions League against Paris St Germain, but it was not until December that the 25-year-old began to feature regularly. However, his importance to the side has rapidly grown and he has started five of the last six matches, including one game as a stand-in centre-back at Brighton. Klopp has a record of easing in new players, with Andrew Robertson and Alex Oxlade-Chamberlain receiving similar treatment, and Fabinho appears to have benefited similarly—even if he thinks he felt he was ready from the off. “I am happy. I still have things to improve but I am happy overall with my performances,” he told Press Association Sport. “I am up to the speed of the Premier League and that was what I was looking for. “I think if it was up to me I would have been playing from the beginning. “Maybe Jurgen could see something I couldn’t see, so not just conversations with him but all the staff helped me. 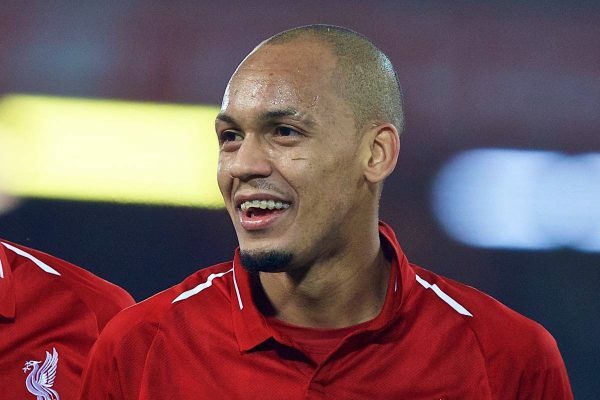 Fabinho’s emergence has helped bolster Liverpool’s title push and the Brazilian has recent experience of a championship victory, winning Ligue 1 with Monaco in 2017. “I had a good season with Monaco, we scored a lot of goals and we had joy playing football and we have to do it here as well,” he added. “Enjoy the games and go on the pitch with happiness and go game-by-game. “I know it is really hard to win a league, especially the Premier League, but we have experienced players here at Liverpool. “I don’t know if I can help a lot because we already have experienced players. Liverpool are currently on a training camp in Marbella ahead of Tuesday’s Champions League last-16 first-leg tie at home to Bayern Munich. Long-term injury lay-offs Oxlade-Chamberlain and young striker Rhian Brewster have provided a boost in Spain by joining the squad for training having been out since April and January 2018 respectively. “It’s something that lifts the spirits massively. 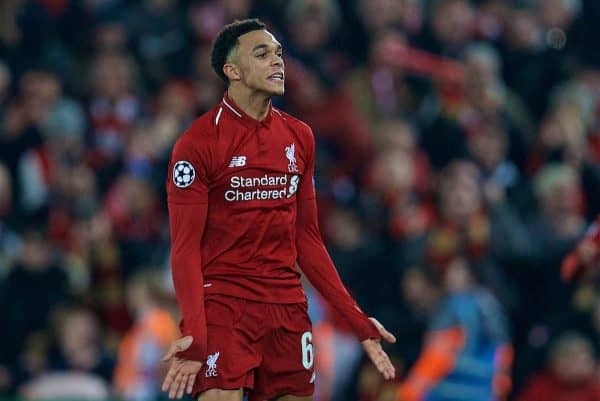 You see them every day in the treatment room, you see them around, and I think everyone just instinctively asks them how long they think it’s going to be now,” Trent Alexander-Arnold told LiverpoolFC.com. “It’s been a really long journey for both of them; Ox’s [injury] has been more high-profile than Rhian’s, but Rhian has put in just as much hard work as Ox has.